Displaying ads on your website is a great way to earn money online. And among the various ad platforms, Google AdSense is the most popular choice. This excellent and popular platform lets you display ads relevant to your website content and earn money when a visitor clicks on the ads on your blog. If you haven’t created an AdSense account for your blog, you should read this guide to create one & start earning. Do remember, they have a strict quality guidelines so, ensure your blog follow all of them, before applying. Once you have your AdSense account, the biggest challenge for a newbie is how to add it, and for the pros is how to place ads at the desired position. For ex: We all know that placing AdSense ads within content gives great CTR & earning. Now, there are few AdSense plugins which let you add ads within content. Do remember, few bloggers don’t prefer placing ads within content, as it affects readership. In today’s post, I will introduce you to some of the best AdSense plugins for WordPress. Depending upon your need & requirement, pick the right one from the list. Note: Do look at WPQuads which is a free lightweight plugin and seems to be popular among ShoutMeLoud readers. They also have a pro version with some advanced features that you can see here. 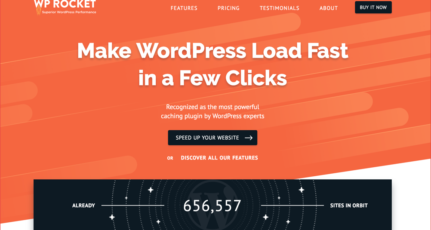 With lots of customization options and 16 different code blocks, Ad Inserter is a simple advertisement plugin for WordPress. 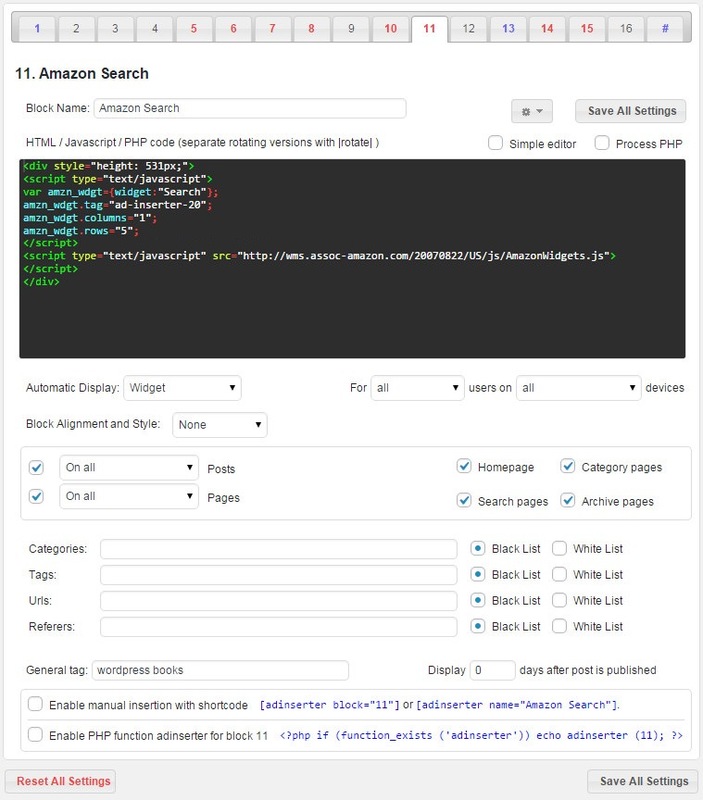 The plugin lets you display the ads in various locations including before and after content, selected paragraph or excerpt, before title etc. You can also use the automatic display option to let the plugin choose the ad locations. As the plugin also installs a custom plugin, you can easily display your ads in the sidebar too. Alternatively, you can display ads by using the custom shortcodes or PHP function. It is possible to customize the ads to display only to the logged in, logged out or all users and users from specific type of devices. You can also choose to show the ads in older posts. 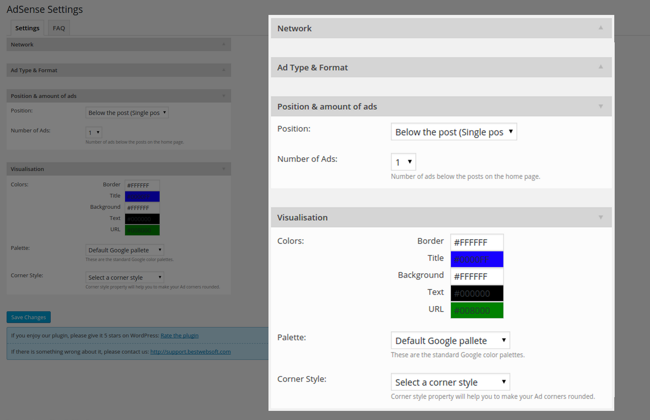 WordPress Ad Widget provides one of the easiest ways to display AdSense or other ads on your website. 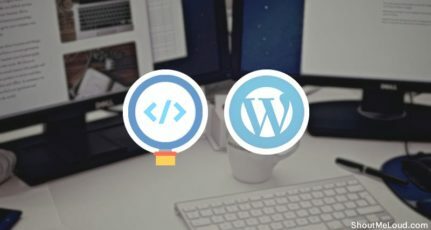 Installing and activating the plugin will create several custom widgets in your WordPress website. To use the widgets, go to Appearance > Widgets from your website dashboard and find out the widgets titled ‘Ad Widget…’. Easy Plugin for AdSense lets you add Google AdSense ads to your WordPress website by following a few simple steps. Besides the regular blog posts, the plugin can display ads on the front page and other pages of your website. You can also choose a custom hover effect for the ads. While it is possible to display multiple ads depending on the post length, the plugin strictly follows Google’s policy to not show more than three ads on the same page. You can also use the custom widgets to display ads in the sidebar. The simple and useful plugin is available in multiple languages. Ad Injection is an excellent WordPress plugin for displaying advertisements from Google AdSense, Amazon Associates, ClickBank or other ad providers. You can choose the number of ads depending on the post length. It is also possible to specify which visitors will see the ads. Along with the before and after post positions, you can display ads in random locations and sidebars. As the plugin supports A/B split testing, you can easily find out which variations of the ads are working best for you. And if you don’t want to irritate your regular visitors, you can choose to display ads only on old posts or posts of specific tags, categories, authors, etc. You can read this guide by WPStuffs on how to use Ad Injection plugin. Google AdSense by BestWebSoft is another great plugin for adding AdSense ads on your blog. Once you have installed and activated the plugin, you have to provide your AdSense publisher ID to authorize the plugin. After doing that, you can display ads by choosing the necessary customization options. The plugin lets you show different types of ads including text, image, text and image ads, link blocks etc. For each type of ad, you can choose the format. Available formatting options include Horizontal, Vertical and Square resolutions. You will also find several positions for displaying the ads. Lastly, you can choose a default color palette or choose custom colors for the ads. Google monitors the clicks on its AdSense ads very closely. If it finds out that the ads are being clicked by crawlers, bots or any other automated process, you could be temporary or permanently blocked from the ad program. Therefore, it is very important to monitor the ad clicks on your website. Google AdSense Click-Fraud Monitoring Plugin could be an excellent tool for that purpose. The plugin will save your ads from suspicious, unwanted clicks. It will automatically block the visitors who have clicked the ads several times within a short period. The AJAX powered plugin allows you to unblock the IP addresses manually. They also have a premium version of this plugin, which I haven’t tried. If you have, do share your opinion about their pro version. Do remember none of these plugins let you add AdSense for search, and you should use it. Search box powered by AdSense helps your readers to find content on your blog, and you earn a decent income from this extra unit. You can see the maximum allowed AdSense units here. My suggestion for you is: Instead of using 2-3 plugins, use one which solves your purpose. Pick the one who let you add ads from other ad networks also. Do let me know which of these plugins you are using? If you are using any other plugin to add AdSense or other ads on your blog, do share with us in the comment section. I would rather say that this is a list of the *five* best Adsense Plugins for WordPress. You’ve listed Ad Injection, although it hasn’t been updated for three (!) years now. I would never install an app, that has been neglected for such a long period of time, especially because of the security issues that goes hand in hand with that. And I wouldn’t install an app in 2018, that isn’t GDPR-compliant either. That being said, I suggest you to replace Ad Injection with a similar (or even better?) plugin, that is at least up to date and 2018-ready. 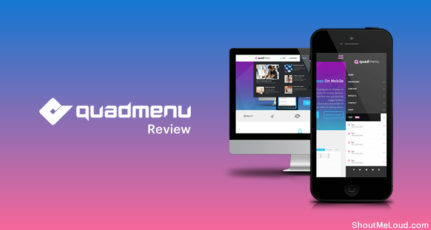 Like Advanced Ads for example (https://wordpress.org/plugins/advanced-ads/).